Dental anxiety, whether mild or severe, can prevent patients of all ages from taking a proactive approach to receiving dental care. 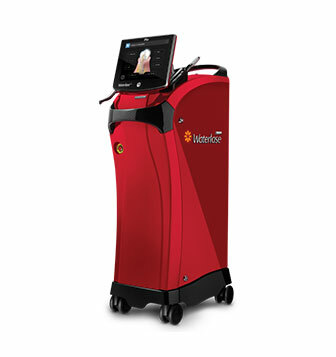 Waterlase iPlus works without heat, vibration, and drilling to provide a minimally invasive, precise, comfortable alternative to traditional treatments. Laser dentistry has revolutionized the way patients receive dental treatment. The Waterlase iPlus uses the high-tech combination of YSGG (yttrium-scandium-gallium-garnet) laser energy and water to provide a more comfortable dental experience with lasting results. The Waterlase iPlus is so precise that your doctor is able to perform restorations to the teeth, gum, and bones without causing damage to surrounding areas in the mouth. The Waterlase iPlus is safe and effective. First approved for use in 1998, the Waterlase iPlus is now used by dentists around the world to deliver accurate, comfortable treatments that meet the needs of patients of all ages.